After several months of testing, Direktpoint has chosen Super Monitoring as the provider of website and web application monitoring service. Super Monitoring is used for monitoring availability, speed and functions of the agency’s own resources as well as clients' websites which are maintained by Direktpoint. In addition, every client of Direktpoint who is interested in the usage of monitoring services will receive a code for 2 months of free “Ultra” package use, which includes 100% of all functions and 10 checks. 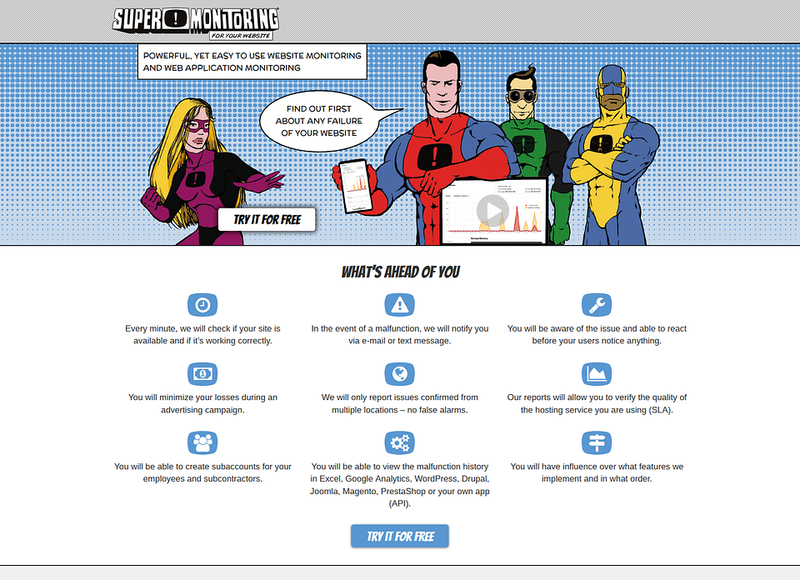 Super Monitoring has been established in 2008 – both in the Polish market and globally alike, currently monitoring websites of clients from 21 countries. It detects breakdowns and errors of websites and web applications, immediately notifying you via e-mail or SMS – further presenting to you in-depth error details for problem analyzing (screenshots, HTML codes, HAR files).